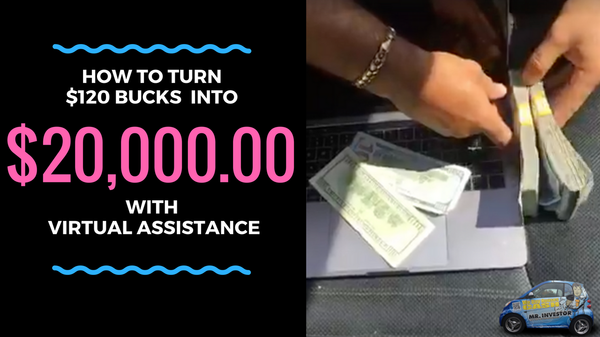 Finally Revealed, how I generate $20,000.00 with Virtual Assistants … by spending less $120 a month? The real way to easily generate profitable…that “gurus” don’t want you to know about…. ...Check this video guide which reveals to you my step by step system for generating $20,000 per real estate deal…. By only spending $12O a month marketing postcards. Want to SEE 👀👀how $20,000.00 👀💰💰Cash Looks Like....? FLASH SALE ALERT: For a limited time, I’m selling 50 “Pre-Launch Combo Packs” of my “How To Hire a Virtual Assistant Training Course” (Retail 500.00) and my “VA Fitlering System” (Retail $1,000.00) for just $325.